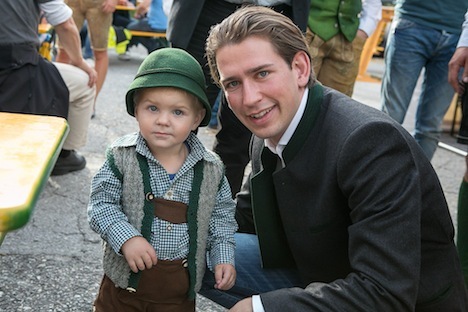 Kurz’s appointment also means that he will likely take a key role in the upcoming European Parliament elections by convincing Austrian voters not to turn to euroskeptic parties like the Freedom Party or Team Stronach, the conservative movement of Austro-Canadian businessman Frank Stronach. Spindelegger was criticized during his tenure at the ministry for being a ‘half-time foreign minister’ in light of his duties as the ÖVP leader and deputy chancellor. It’s staggering to think that Kurz is 43 years younger than his US counterpart, US secretary of state John Kerry, and it’s going to be interesting to see how Kurz stands up to other European foreign ministers, including Germany’s social democratic Frank-Walter Steinmeier, who will return (at age 57) to the foreign ministry for his second stint, France’s socialist foreign minister Laurent Fabius (age 67), who served as France’s prime minister in the mid-1980s, Russia’s Sergey Lavrov (age 63), who has served as foreign minister since 2004. The United Kingdom’s conservative foreign minister William Hague (age 52) might have the most insight to offer Kurz as a kind of wunderkind himself. Hague took the Conservative Party by storm at age 16 with a speech to the 1977 national conference, entered government shortly after his election to the UK parliament in 1989, and served as the Welsh minister between 1995 and 1997. After the landslide Labour Party victory that swept Tony Blair to power and the Tories out of office for the first time in 18 years, Hague became the leader of the Conservative Party at age 36. He led the Tories to another defeat in the 2001 election and stepped down as leader, leaving many wondering if Hague’s career peaked too soon. Kurz might also look to the history of the Austro-Hungarian empire for precedent — Klemens von Metternich became the empire’s foreign minister in 1809 at the young age of 36, and he held the position for early 40 years until the revolutionary tumult of 1848. The early 19th century has often been referred to as the ‘age of Metternich,’ giving the empire’s foreign minister and, between 1821 and 1848, its state chancellor, credit for keeping Europe’s major powers at peace through diplomatic means.